April 4, 2016: I can’t tell you what a pleasure Ziggy and Bear have been. Both are a bit mischievous but also wicked spoiled. They have been such wonderful additions to our home. 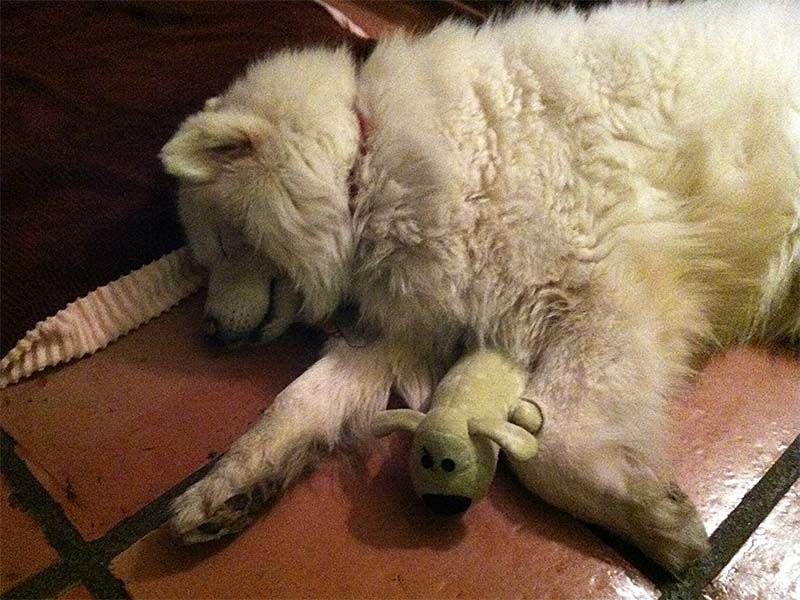 Given the environment Bear came from, I truly believe Ziggy has helped him adjust. As you all know the condition of the Delware dogs was less than favorable. They both go on 3 to 5 mile runs with me weekly and minimum daily walks. We take them to the dog park and on hikes. Bear always has to be first. Ziggy is much faster but tires more quickly. They truly are the best companions and it’s always a treat to see the enjoyment they have. Bear is my little buddy. He stays close and doesn’t like to get too far. Ziggy will be 7 on St. Patrick’s Day. We don’t know about Bear so we celebrate both. Bear is incredibly playful, you would think he’s still a puppy. He just loves life. Nonetheless we love them to pieces. 6/25/13: From Bear’s new family: When Bear came to us in November 2012 he could barely walk straight and his coat was coarse and yellow in color. The poor guy was super skinny and not in good shape. Today, almost 8 months since we got Bear, he is a very happy boy and is loving life. He has filled in and is almost 59 lbs, his coat is super white and very soft. He is very food motivated and will work for treats if you let him. He is very gentle when taking treats from you too. Bear loves going on walks but enjoys running with my husband while he rides his bike. 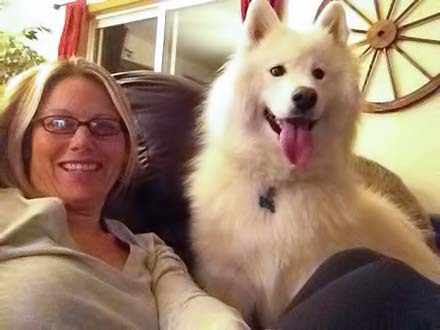 We had rescued Ziggy (Samoyed) in April 2012 and we believe he has helped Bear adjust well. It’s amazing what food and love will do for these animals. 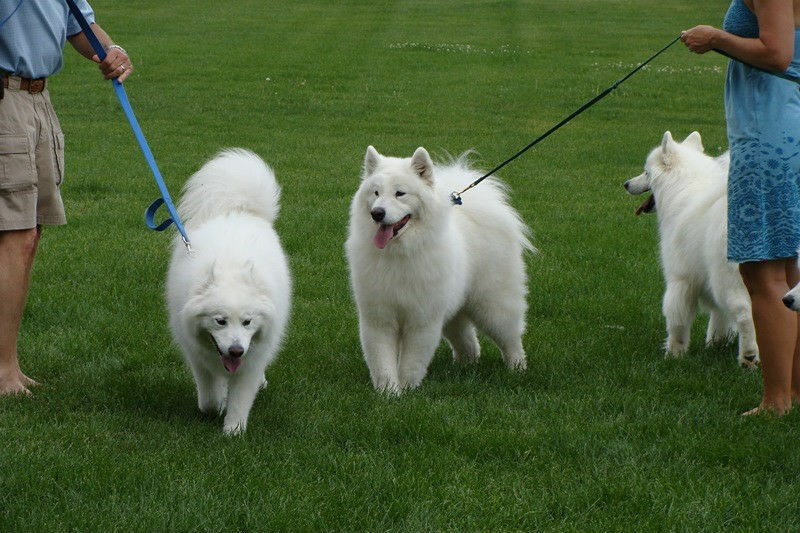 The new picture (below) is taken at the Denver Samoyed Rescue picnic in Golden, Colorado. Bear is on the right with the purple leash. Same dog that is on the right in the picture with my husband and our other Sammy Ziggy. 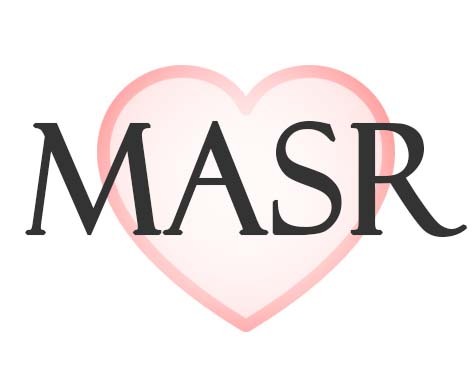 Thank you again to the MASR and DSR for all that you do! 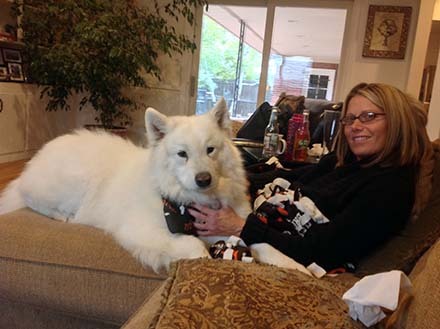 1/31/13: I wanted to let you all know how GREAT Bear is doing. He is a wonderful dog. We have him and Ziggy in obedience class and Bear loves it. He sits, stands up, lies down and even goes in circles for a cookie. Our instructor says he loves to have a job! His fur is starting to come in nicely and we still feed him 6 cups a day to fatten him up. He is starting to fill in and the instructor is going to give us some exercises to help build those hind muscles. I think Ziggy has really helped him adjust to life outside of a cage. 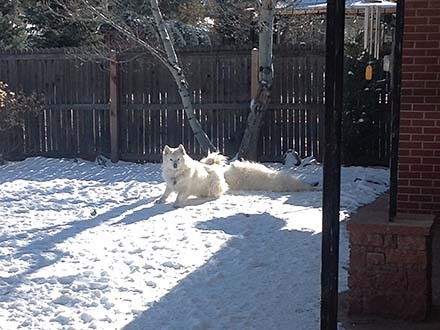 We stopped kenneling him at night in early December and other than a few leg lifts here and there he’s doing great and enjoying his new freedom. I will try to get a video of some of his new tricks in the next few months. Thanks again to all of you and your support for in giving these guys a second chance. They are truly awesome dogs! 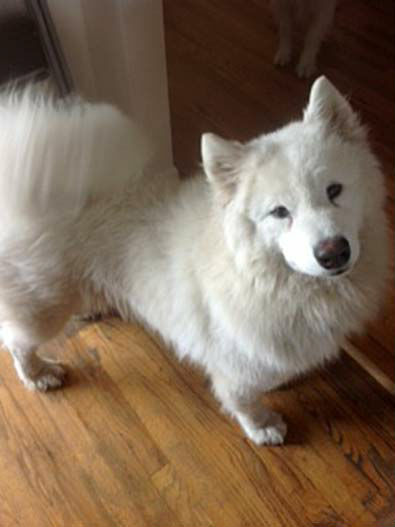 11/8/12: Dog 5 will be heading to Denver Samoyed Rescue next Monday. 11/2/12: This dog is one of the ones Marlene calls crazy dog, you can’t walk him on a leash. He gets in front of you and stops or if behind runs in between your legs, almost fell the night I brought them to the kennel and today was no better. He is very skinny and one of the younger ones. Once i got him in the tub and got my hands on him he completely calmed down and sucked up. Didn’t matter what i did to him, he sucked up for all of it. This poor creature is absolutely starved for affection, it’s all he wants and he is desperate for it. I think he needs to go somewhere w/full time people, even in foster care. We had a little grooming love-fest 🙂 I did include some after pics, will try to do that from now on.